If you don’t utter that quote from the fantastic 1990’s movie The Sandlot everytime you hear the word s’more…we can no longer be friends ..or at least close ones. With Fall amongst us and nights starting to get a little chill in the air, we’re no longer outside by the fire quite as much. We are however still craving our summertime favorite of melted chocolate, crunchy graham crackers and gooey marshmallow goodness. So we have brought this family favorite into the home were it can be equally enjoyed. We’ll start this easy recipe by just following your brand’s pudding directions. Mine was to simply add the chocolate powder to 2 cups of cold milk. 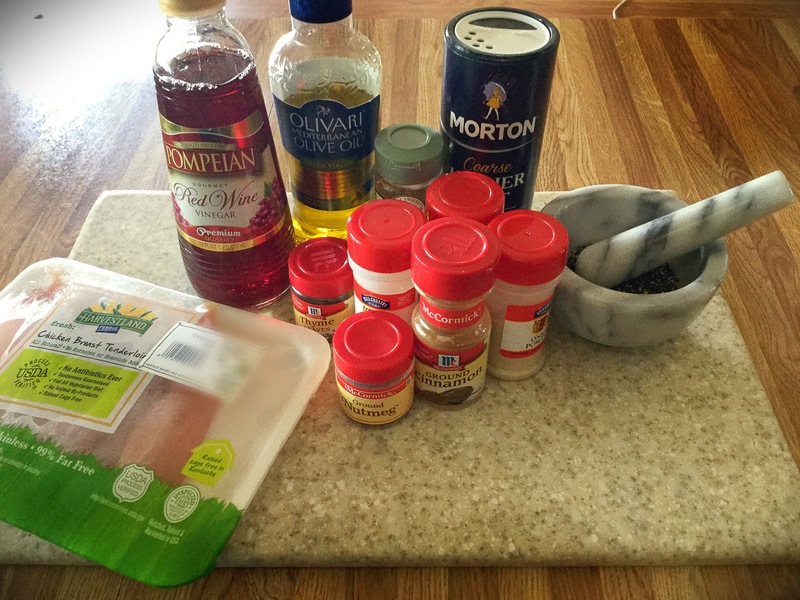 Then I whisked these two ingredients together until smooth. After combined, I place a piece of saran wrap directly on top of the pudding. Gently press onto the surface to ensure your dessert does not get that nasty ‘skin’ on top. Place your now covered bowl into the refridgerator while you finish this delight! Next crumble up those graham crackers! You can either place them into a ziploc bag and hit with a pan or rolling pin or just break up with your hands. I prefer my crackers not too crumbly to give this dessert a bit of texture. Assemly time has come! In a dessert dish, place down a bit of the crushed graham crackers followed by a layer of mini marshmallows. Then scoop some of the prepared chocolate pudding on top of both and repeat these steps until you reach the top of your dish. When I reach the top I put down a layer of marshmallows. Keeping with the original s’mores recipe, I like to torch the top…great extra flavor and effect! 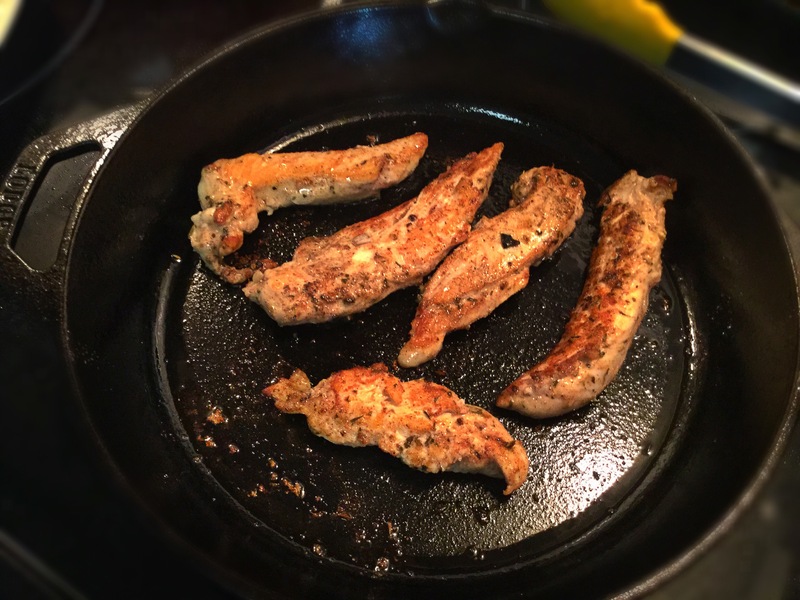 If you do not have a small kitchen torch handy, you can easily lay a few down onto a baking tray and place under the broiler for just seconds. Allow to cool a bit and then transfer to the top of your dessert. *This was can be a bit messy though! ALSO, make sure you do not stick your entire dessert under the broiler to toast the ‘mallows, UNLESS you’re using an oven and broiler proof dish. Now since this took you no time at all to create…you have plenty of time to enjoy! Today I was torn between the flavors of a Chicago Dog and a southern style coleslaw topped version…then *ding! Why not combine the two!?! 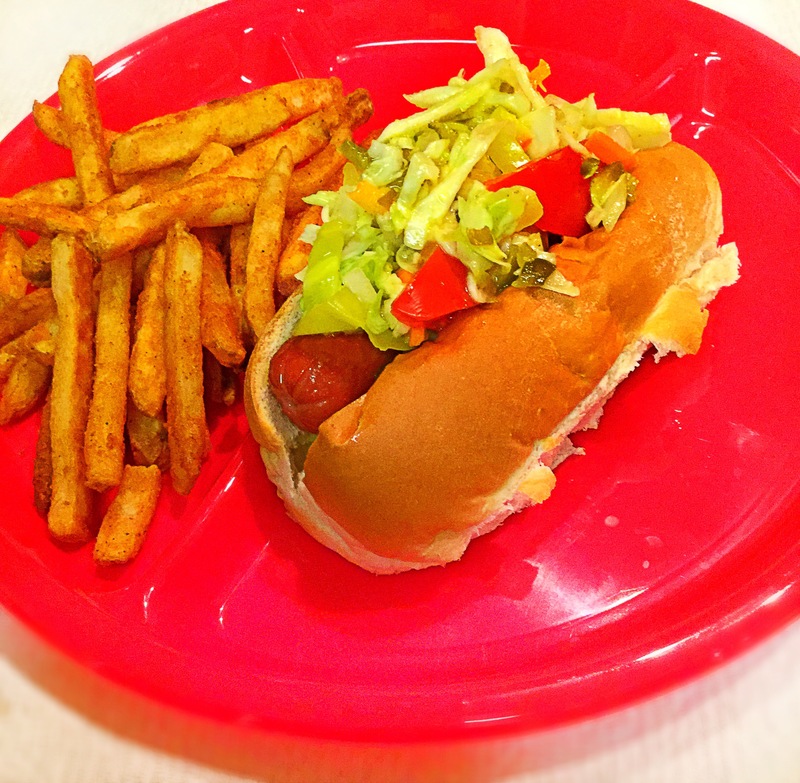 Genius…the crisp crunch of coleslaw, but with the flavors of a tangy Midwest Chicago hot dog. I may never go back to either…I’m sold! 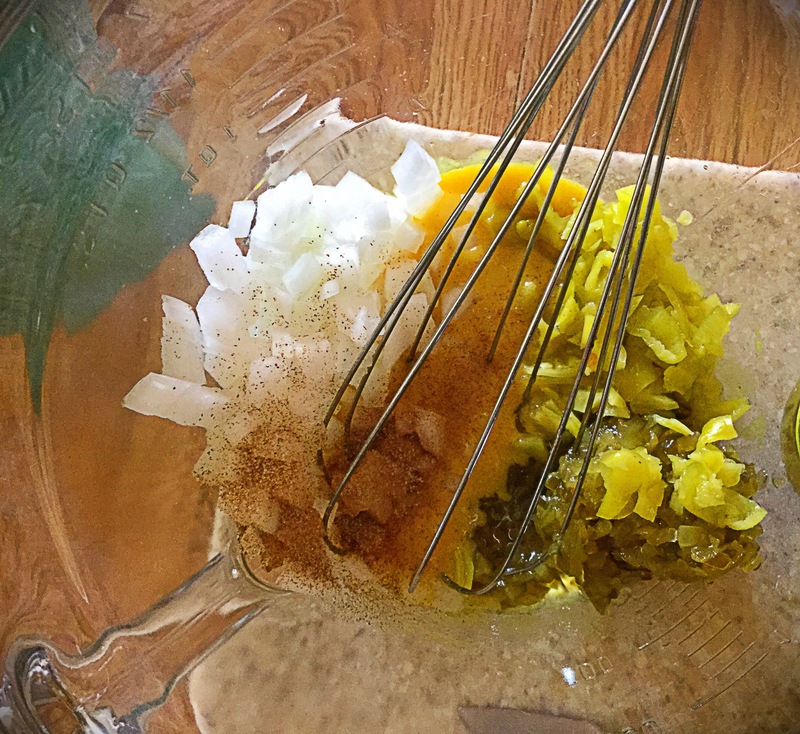 In a large bowl, combine the mustard, apple cider vinegar, EVOO and celery salt. 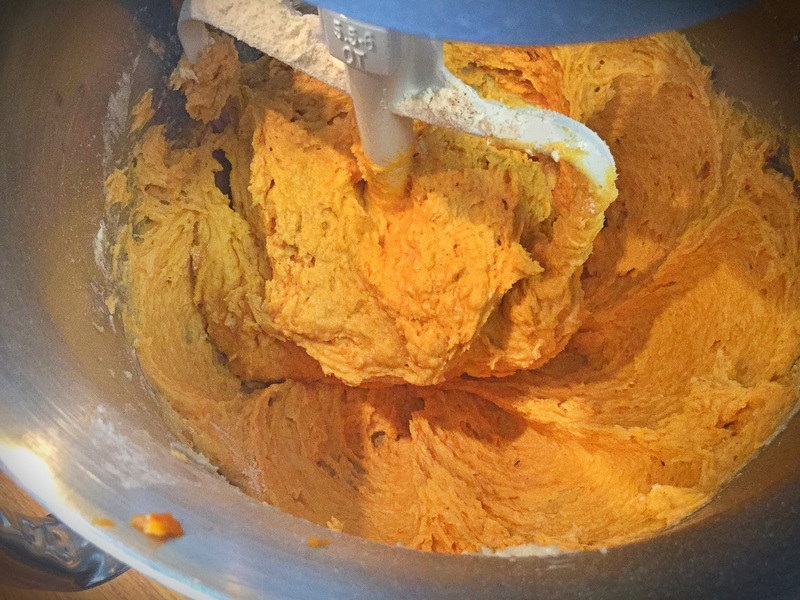 Give this a good whisk…when you think you’re done, you’re not. 😉 Whisk some more! 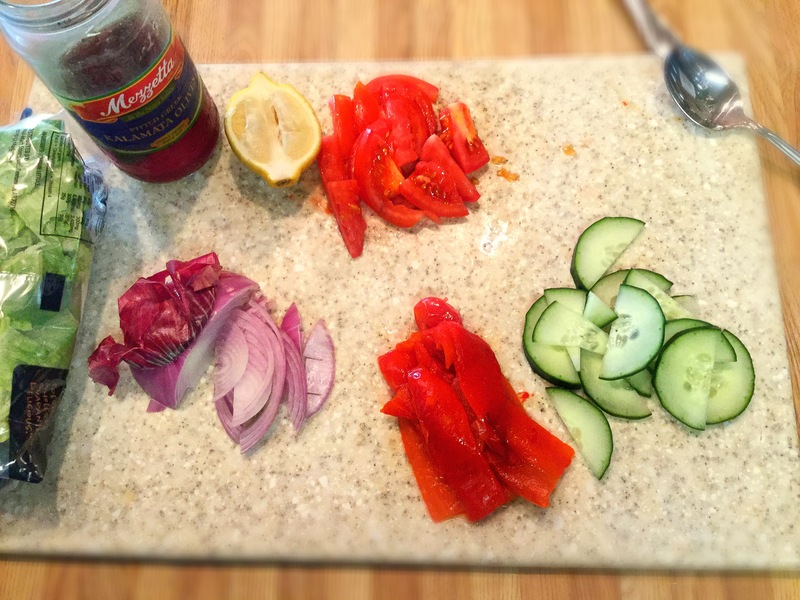 Next add in the chopped onion, sweet pickle relish, sport peppers (peperoncini’s) and give another solid stir. Finally fold in the cabbage-blend to the Chicago ‘Slaw vinaigrette until it’s completely coated. 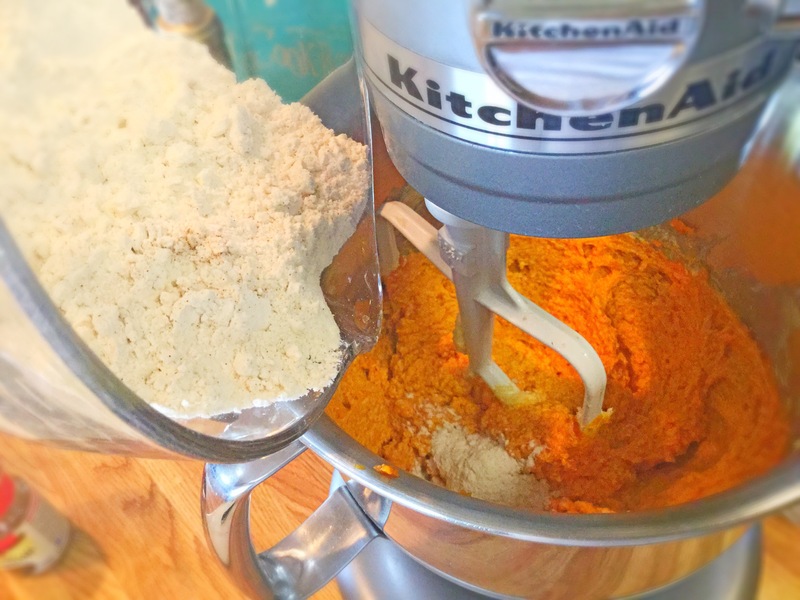 Here is where you should give this a taste and adjust your ingredients if necessary. Do you prefer it sweeter? 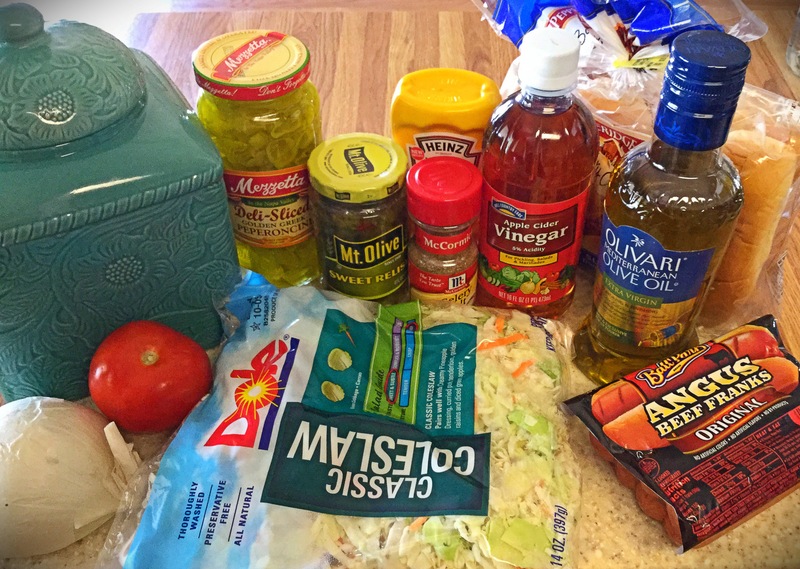 Than more pickle relish. Do you like more heat? Then double up on the hot peppers, etc. 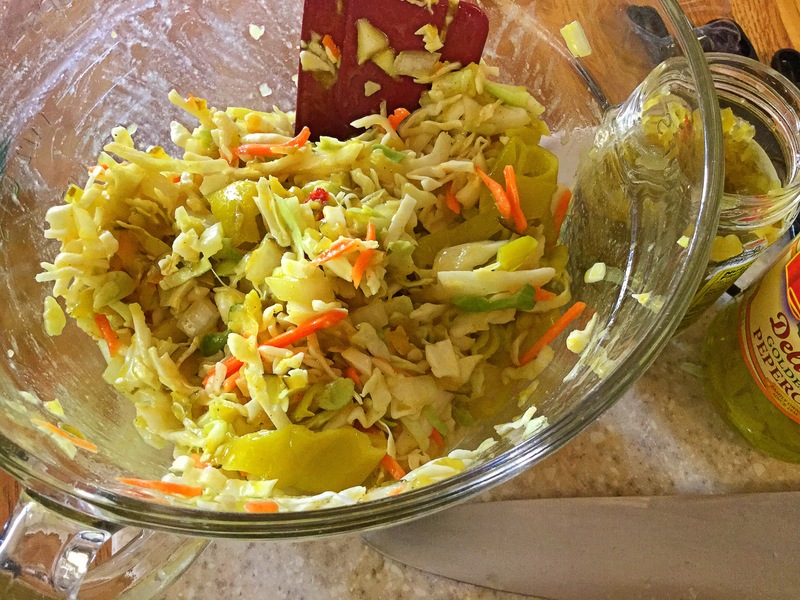 After you’ve perfected your slaw, cover your dish with Saran Wrap and place in the refridgerator for at least 30 minutes. 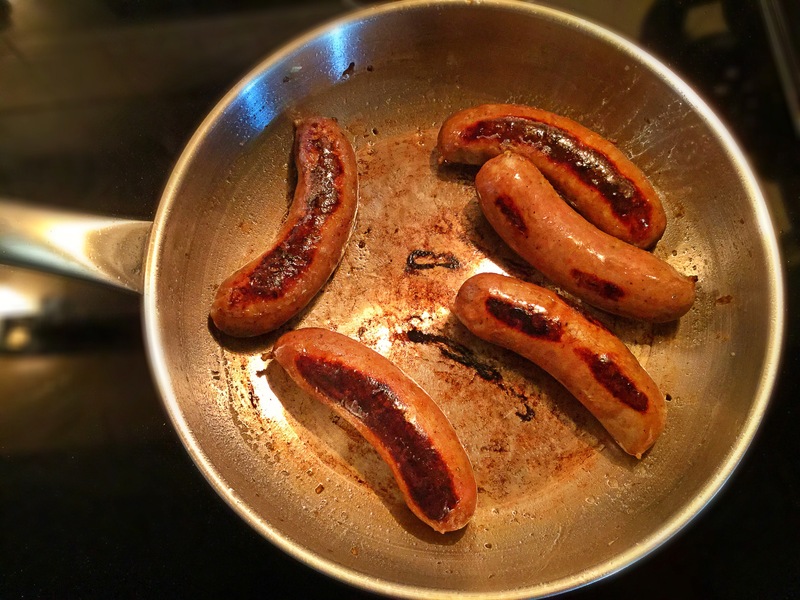 Once it’s time to eat, cook your hot dogs to your preference (grill, boil, nuke, sear, broil, sauté…you understand) and place in the bun. You’ll then add a couple of tomato slices and a dill pickle spear on the sides of the cooked frank and top with a hefty helping of the Chicago ‘Slaw! Enjoy! …Grab a napkin too! 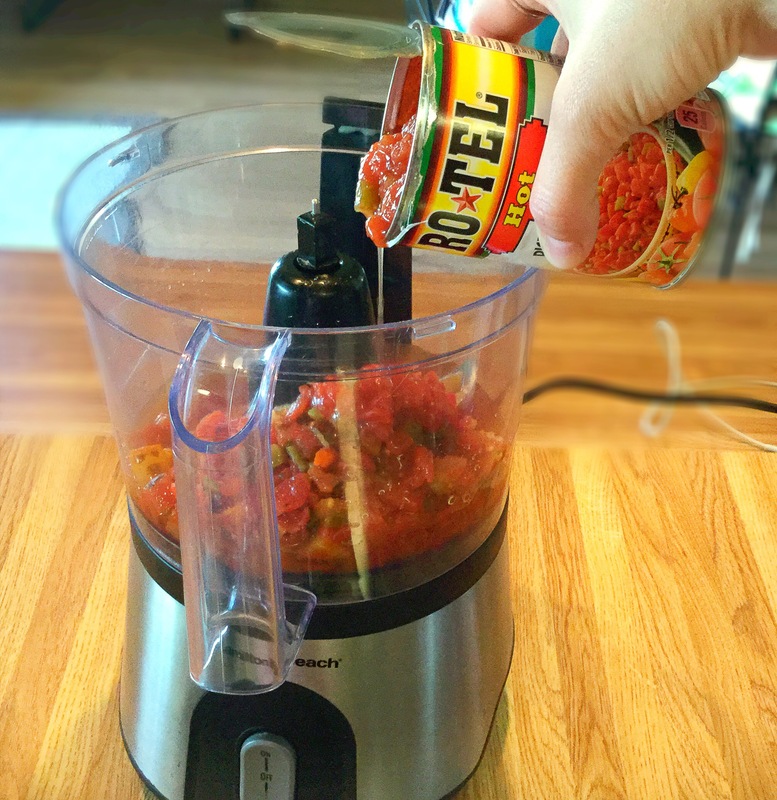 It’s pretty much just a two-step process..no roasting, no boiling, no nothing (our friends at Rotel did most of the work for us ;)! 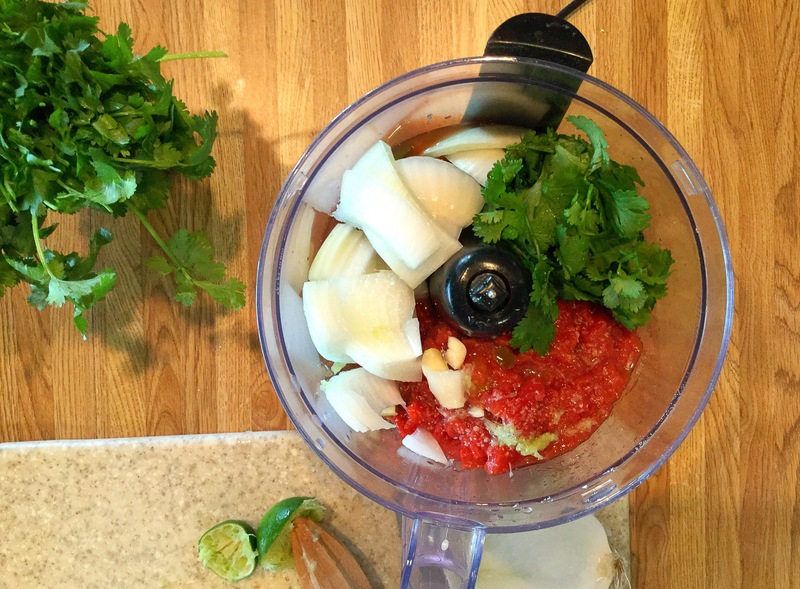 All you need is your food processor and 5 minutes to get the fiesta started. *I always choose Rotel’s “cilantro & lime” mixed with their “hot”…this has quite a kick to it though. So if your party likes it a bit more mild , I’d omit the “hot” and choose their original or something similar. ^^again..just that one can of “hot” will do it…if you cannot drink a bottle of Tabasco sauce like myself, I’d advice against it. 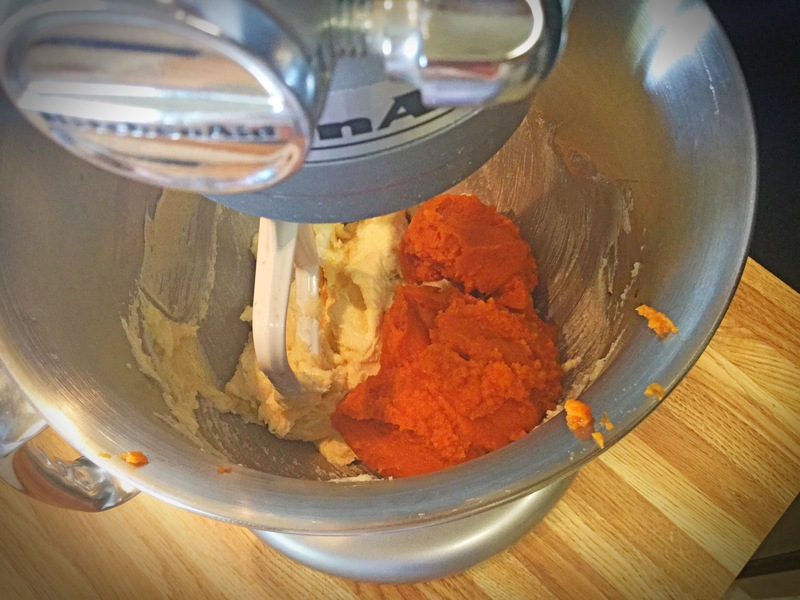 *You can use a blender if you do not own a food processor, but blenders do tend to make things ‘frothy” instead of finely diced. 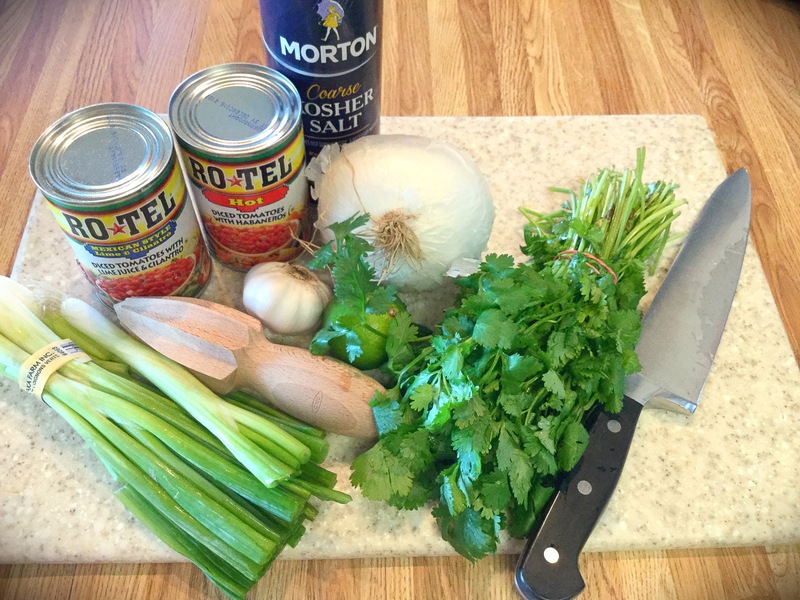 In your food processor, add in all of the above ingredients EXCEPT the 1/4 cup of sliced green onions. Pulse your processor till your desired texture is achieved. We like ours a bit thinner…so I just pulse it longer. Simple! 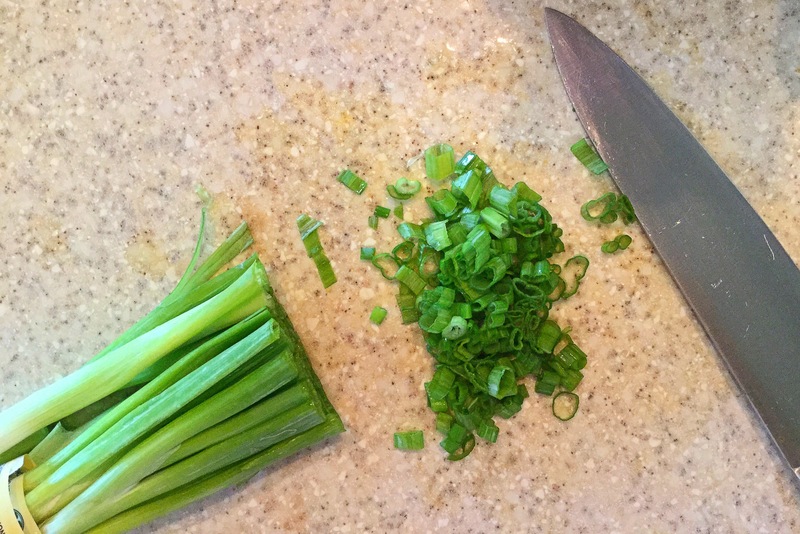 Here is where you will fold in the green onions to give it a bit more bite and texture. 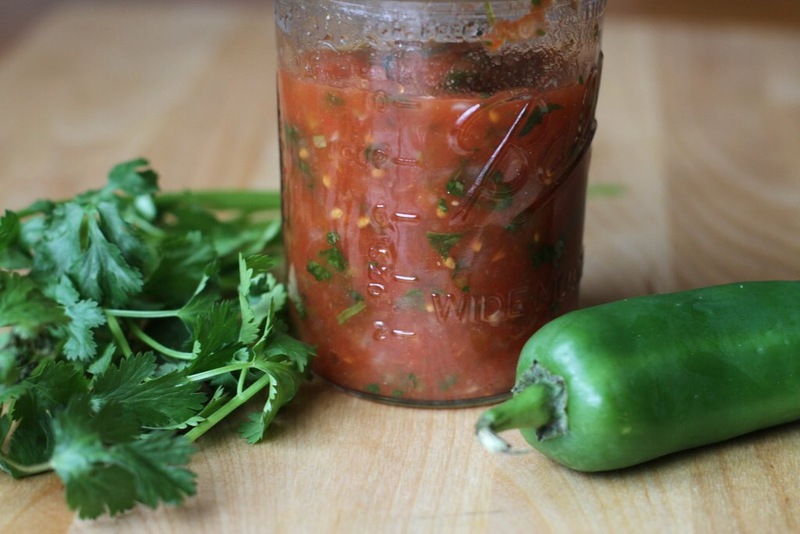 Depending how soon you’re eating this, pour into a serving dish or into a sealable container (I.e. 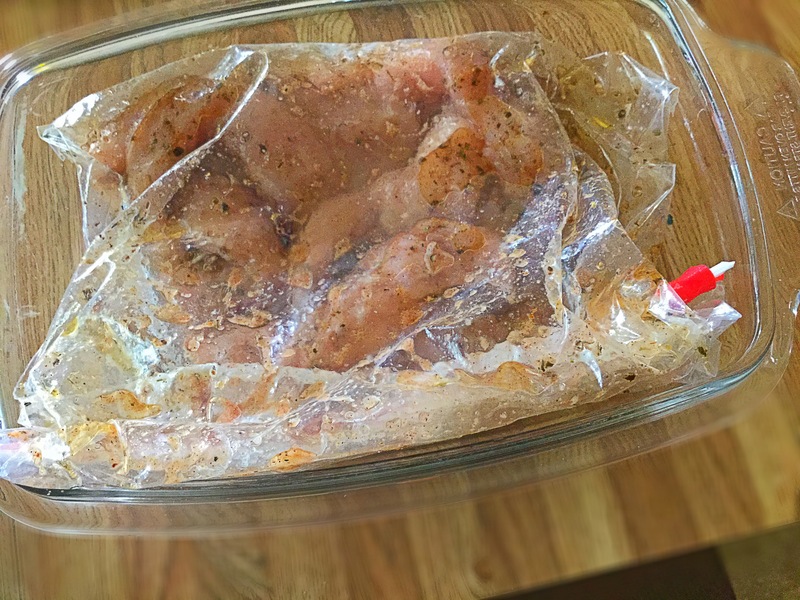 Tupperware, Saran Wrap). If eating later, just cover and place in the refridgerator till munch time! Enjoy! 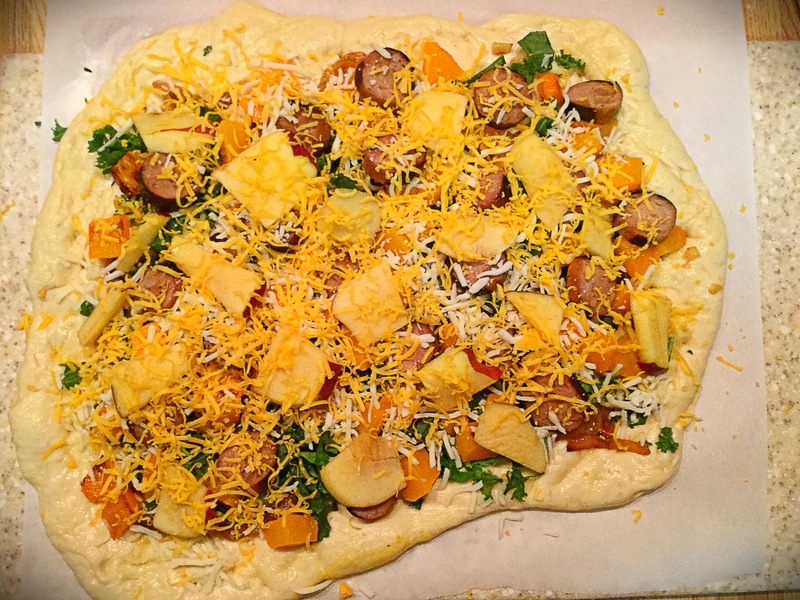 If you love the Fall season as much as I do, then you’ll absolutely adore this pizza! It has all the savory flavors and colors this time of year is known for, with a hint of sweetness too…excellent combination! 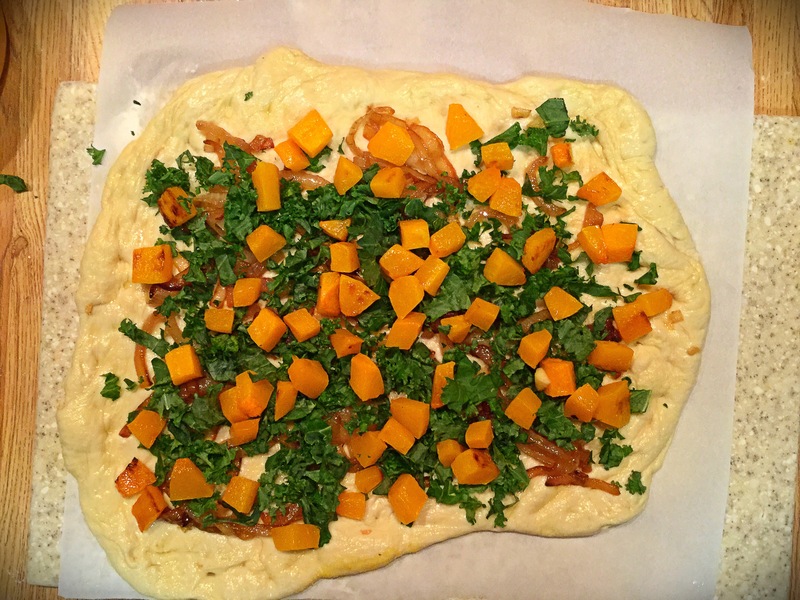 Plus, you can get the same taste an easier route if you purchase a lot of the veggies prepped and premade dough. 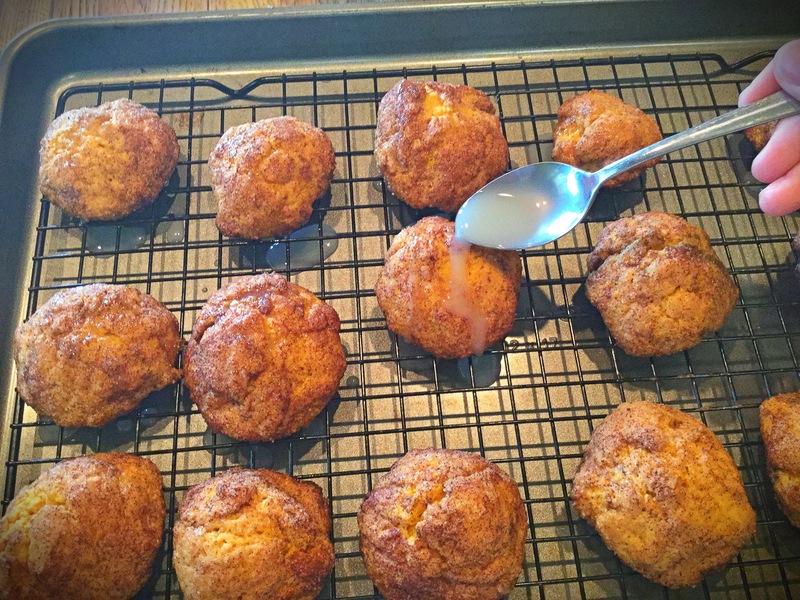 A Fall family favorite right here! 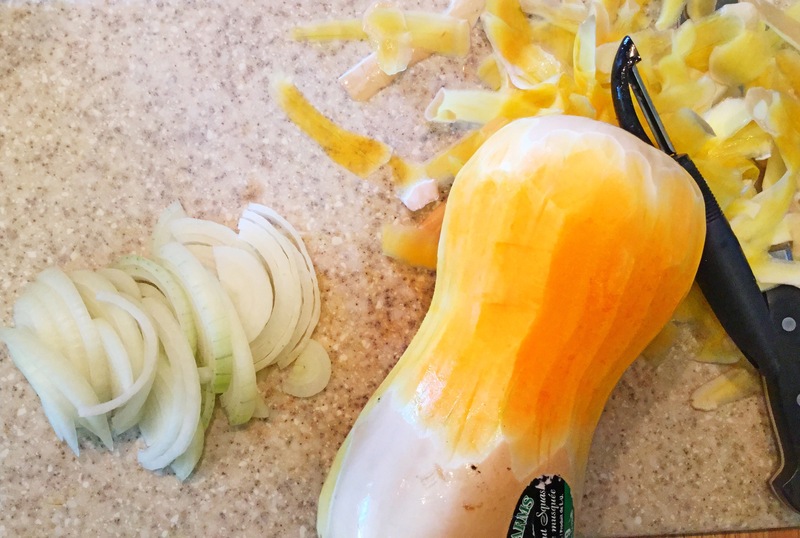 Assuming your pizza dough is ready for baking (if you prefer not to make your own, you can of course buy it in your freezer aisle, your local pizzeria or even a Boboli crust), we’ll prep our veggies! 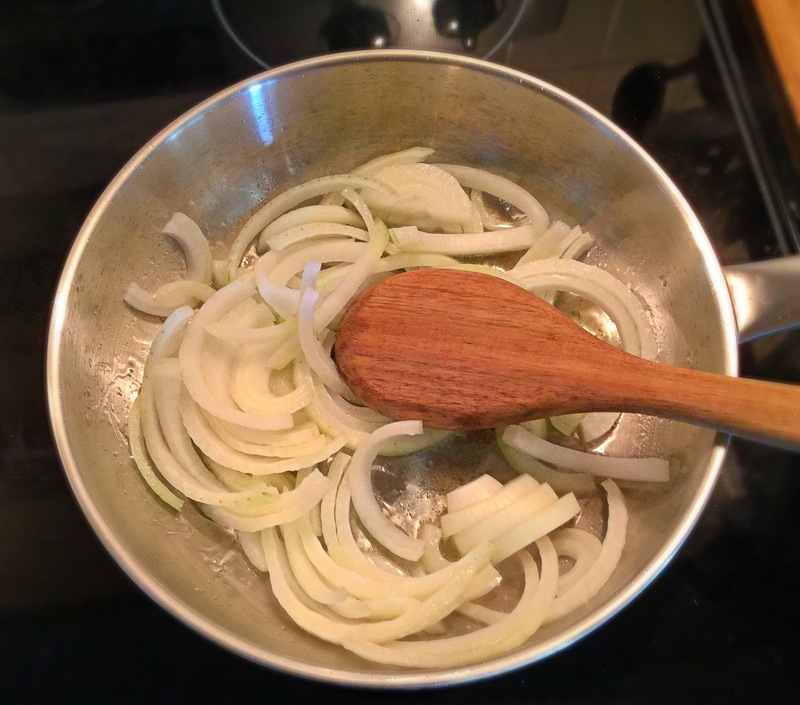 Have a sauté pan with 1 tbsp EVOO heated to medium and add in your onions and a pinch each of kosher salt and sugar. 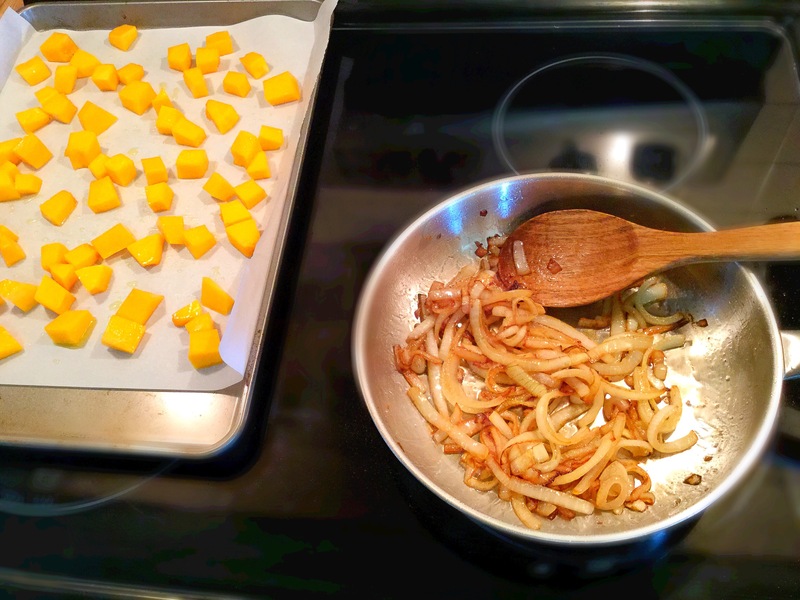 Allow to cook down and caramelize while stirring occasionally. 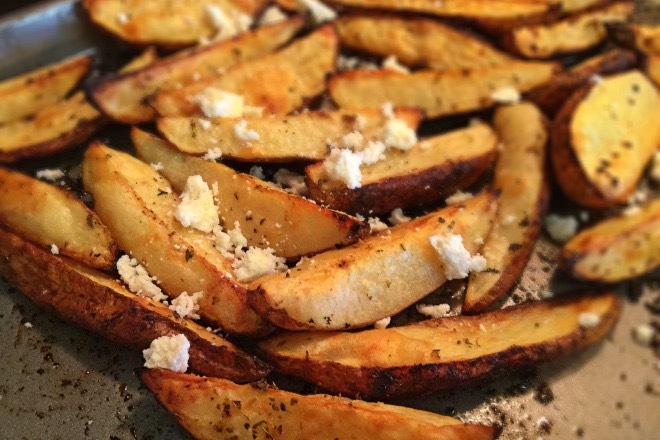 Also add the squash to a baking sheet, drizzle with EVOO and top with a pinch of salt & pepper. Transfer this to the oven and roast for 20 minutes, till tender, while your onions are sautéing. Once these are both finished cooking, transfer to seperate dishes and set aside. *Keep your oven on that same 400 degrees for the pizza, add in either a large baking sheet or a pizza stone to heat up while you finish prepping. 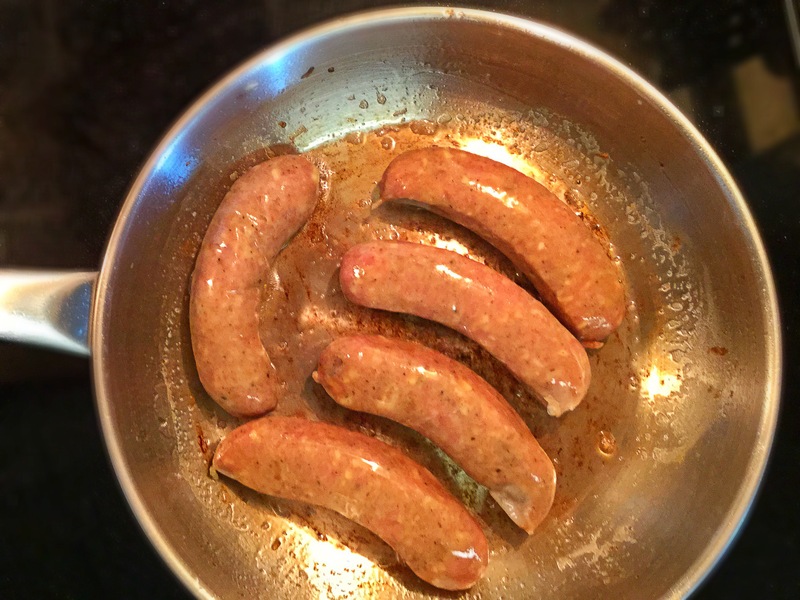 In the same pan you cooked the onions down in, now add in the chicken sausage and cook through…typically about 6 minutes per side. 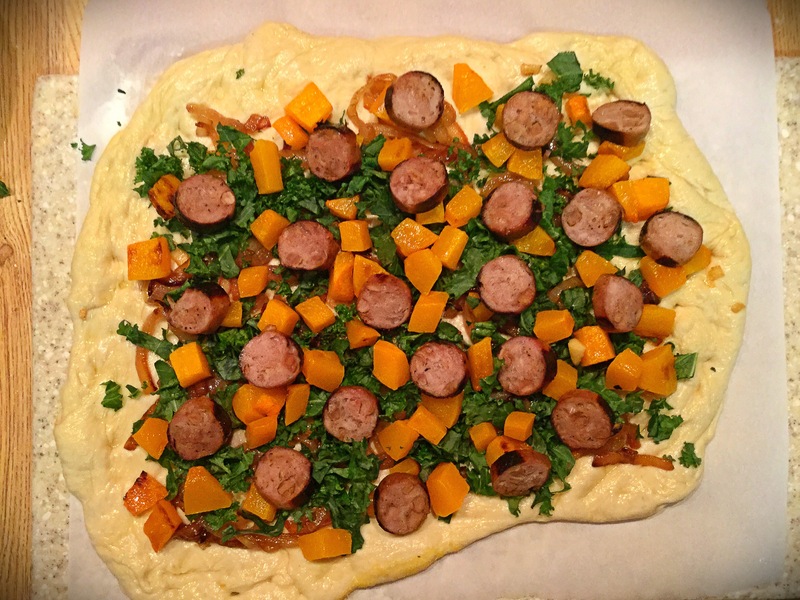 Once the sausage is finished, set aside and allow to cool & rest before you slice. 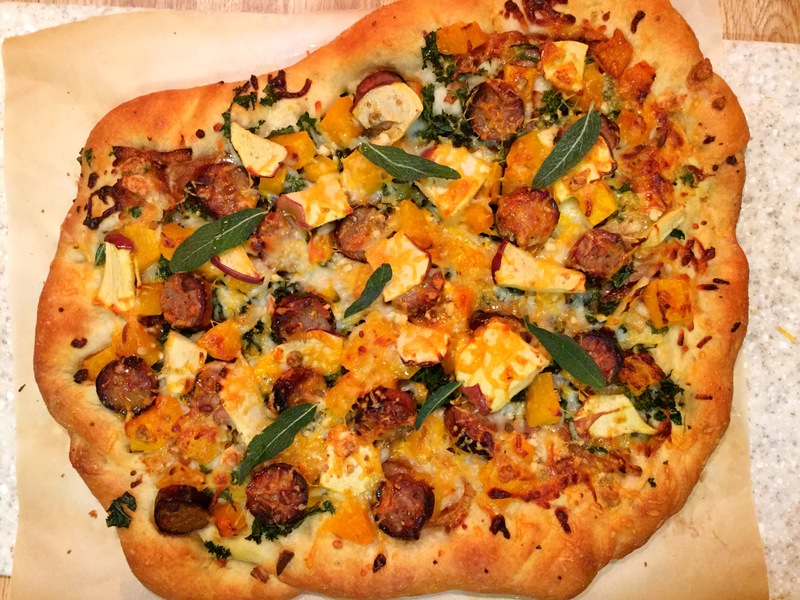 While the sausage is resting, you can now rinse and tear up the kale (if needed) and thinly slice your apple. You should have all of the toppings prepped at this point. 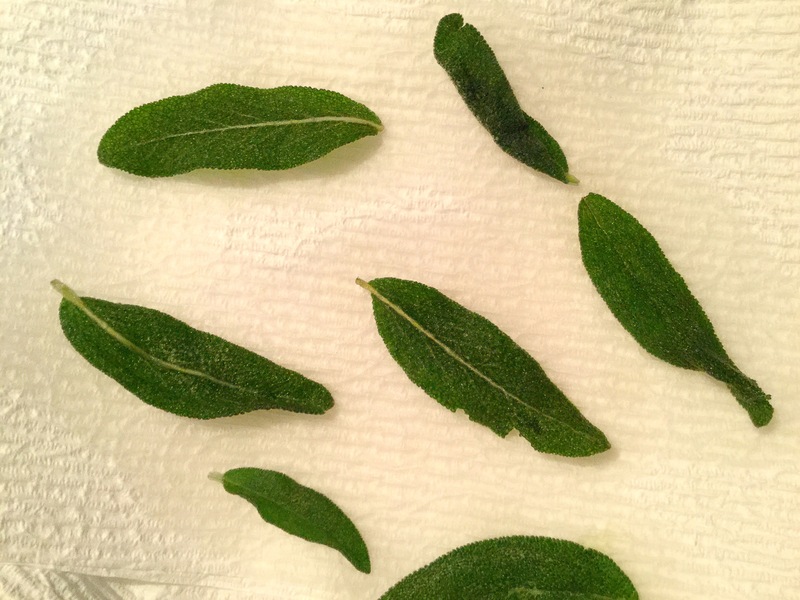 Optional: Crisped Sage, heat 2 tbsp EVOO in pan to medium heat. 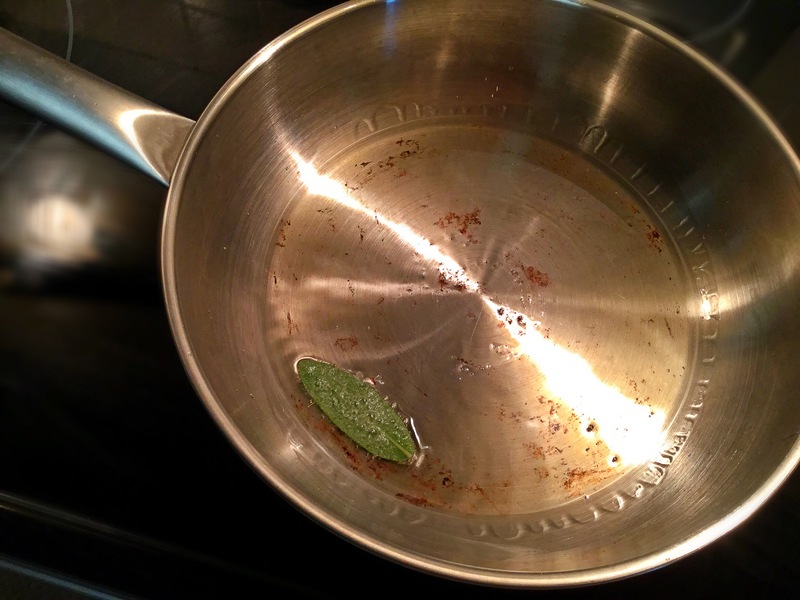 Add in a couple sage leaves and cook for about 20-30 seconds on each side. Immediately take out and transfer to a paper towel. You’re done! It’s pizza assembly time!! Roll out the dough to your desired shape..Don’t worry about that perfect circle here. I think a roundish square works and is rustic and charming. 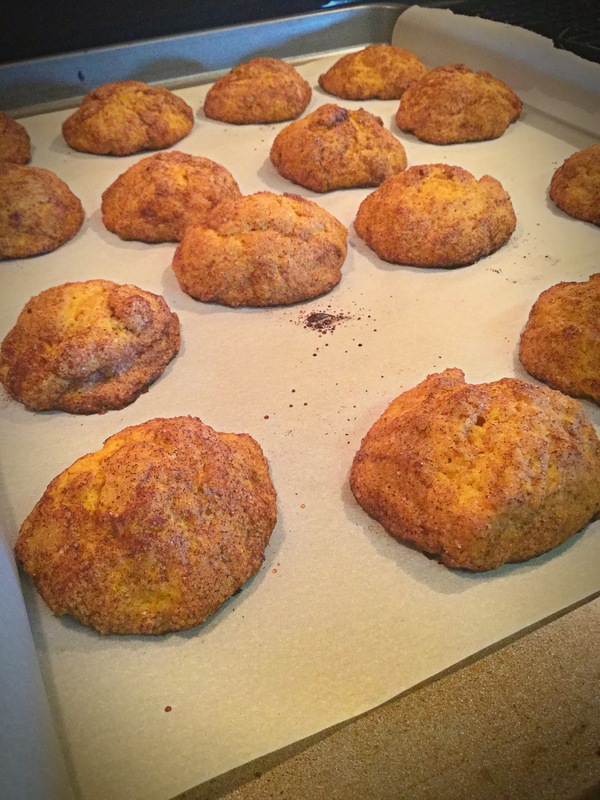 After I rolled out my dough, I carefully placed it onto a piece of parchment paper coated in cornmeal (optional). 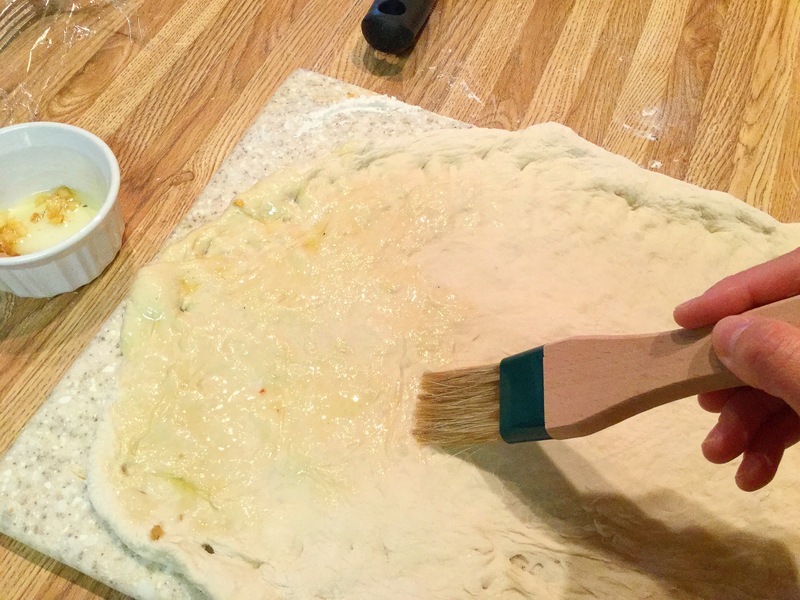 Brush EVOO ALL over the dough top and sprinkle the with minced garlic (if your crazy like me, earlier in the prep heat up EVOO in a pan, add the garlic to it and immediately take off the heat and set aside for this.). 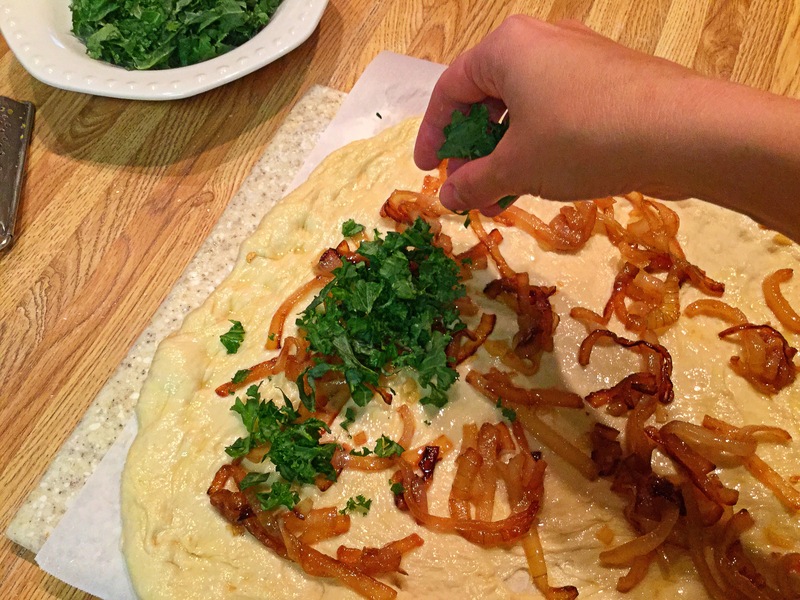 After the dough has been brushed with EVOO and minced garlic, we’ll start layering the toppings. 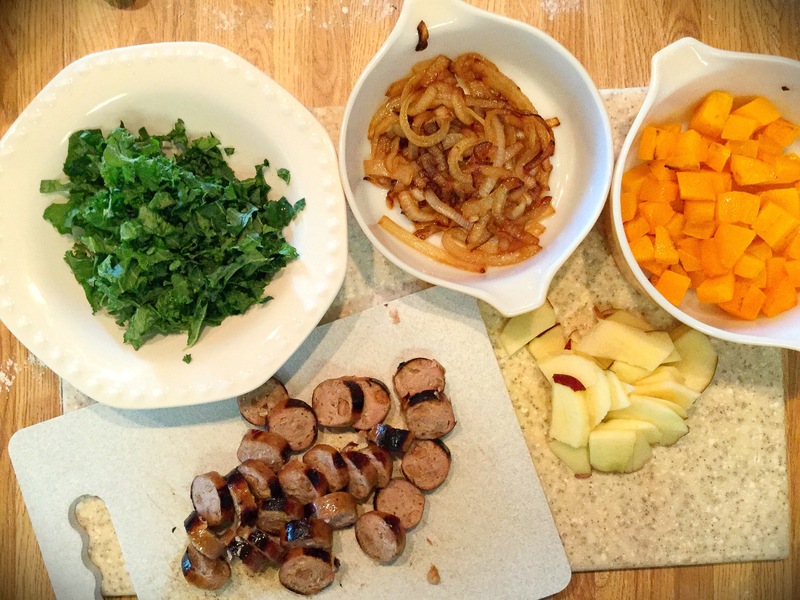 It goes like this: Caramelized onions and any drippings first, the kale leaves, the roasted butternut squash, the Apple chicken sausage (now sliced), then the Apple slices. Top this all with shredded cheddar cheese and a sprinkle of Bleu cheese crumbles. So I used a large preheated baking sheet (upside down) as my base, and carefully lifted the parchment paper topped with the loaded up pizza onto it. *careful that baking sheet is hot!! Transfer to the 400 degree oven and bake for 20 minutes, till cheese is melted and crust is browned. 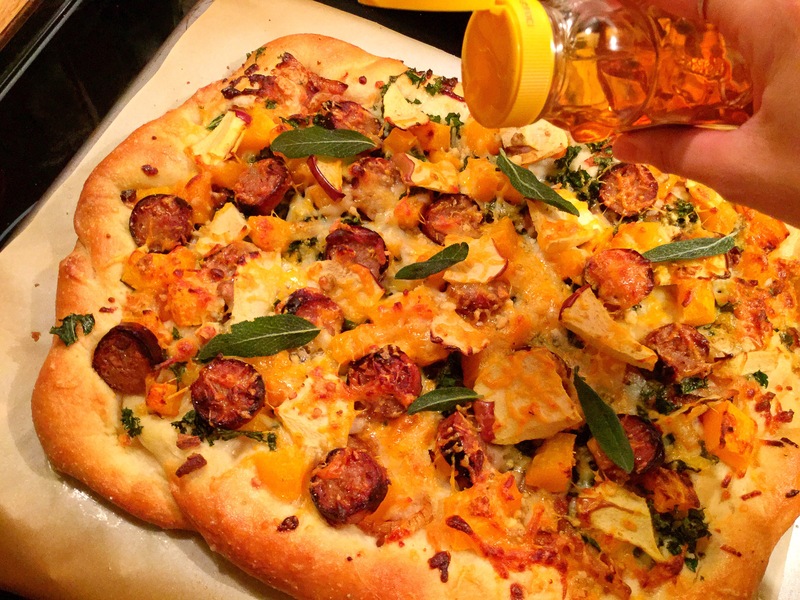 When time is up, remove the pizza and drizzle with the honey all over the top and crisped sage. Allow to rest for 5 minutes. We prefer ours with a small salad and a good bottle of hard cider! Enjoy! 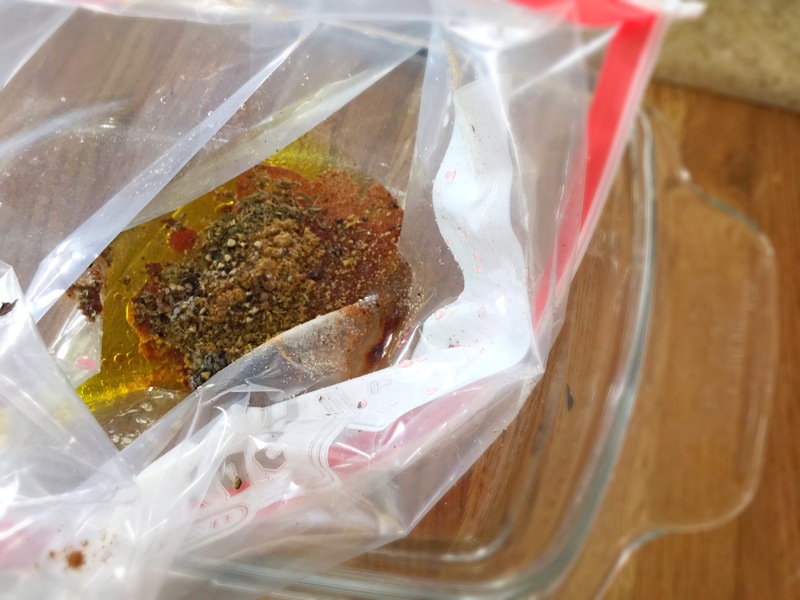 In a large ziplock bag, combine all of the marinade ingredients (zip up and give a good shake)..*Remember to just use 3 Tbsp of the extra virgin olive oil. The remaining 2 Tbsp’s will be for cooking the chicken. Now add the chicken into the bag of Greek flavored marinade. Again, zip tight and place the filled bag into a large bowl, etc to catch any possible mishaps (you do NOT want this bag to accidentally break in the fridge..lots of cleaning!). 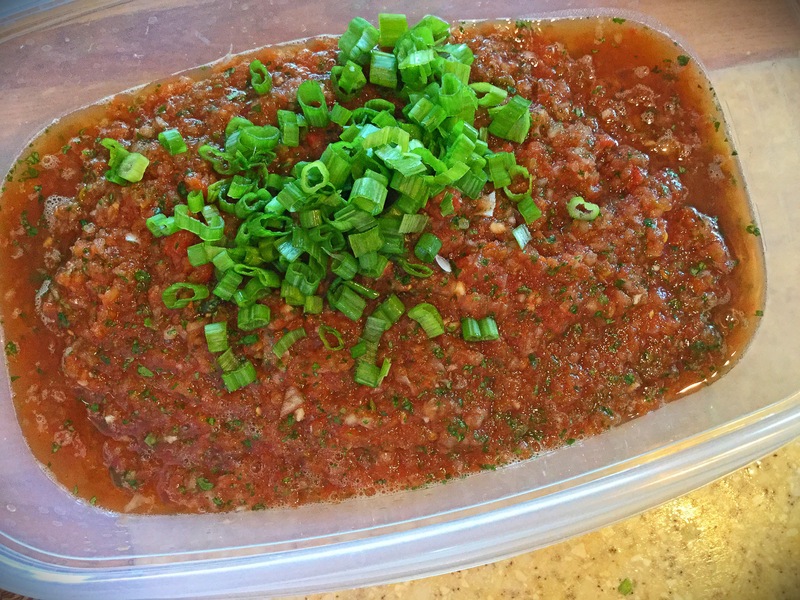 Place in the refridgerator and let marinate for 1-3 hours (take out of the refridgerator 30 minutes prior to cooking/grilling. 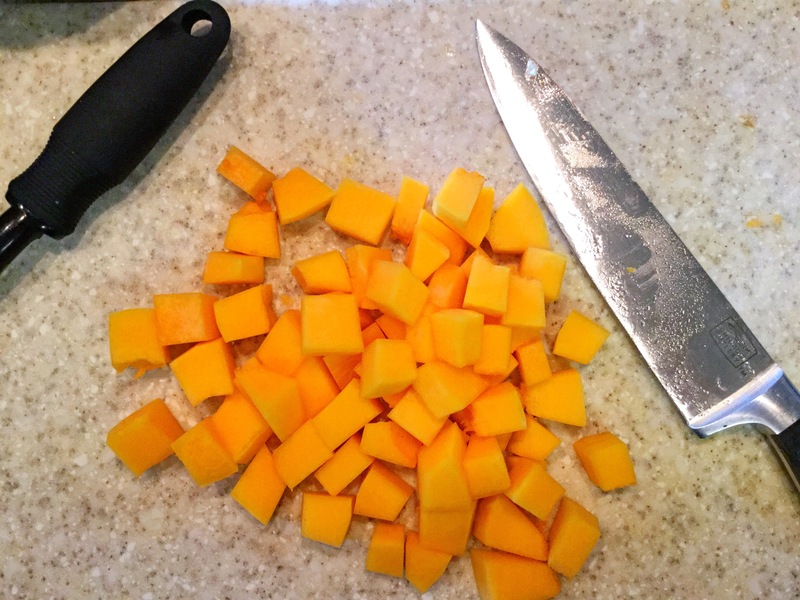 In the meantime, do what you please, but I suggest prepping your veggies. I.e. Slicing the onions, crumbling the feta, preparing your flat bread (unless bought). After time is up, have either your grill ready to go or a hot pan/grill pan…what have you (even baked or broiled). Cook the chicken until no longer pink, transfer to a plate and let rest for 5 minutes. It’s finally assembly time! Aka, the BEST time! 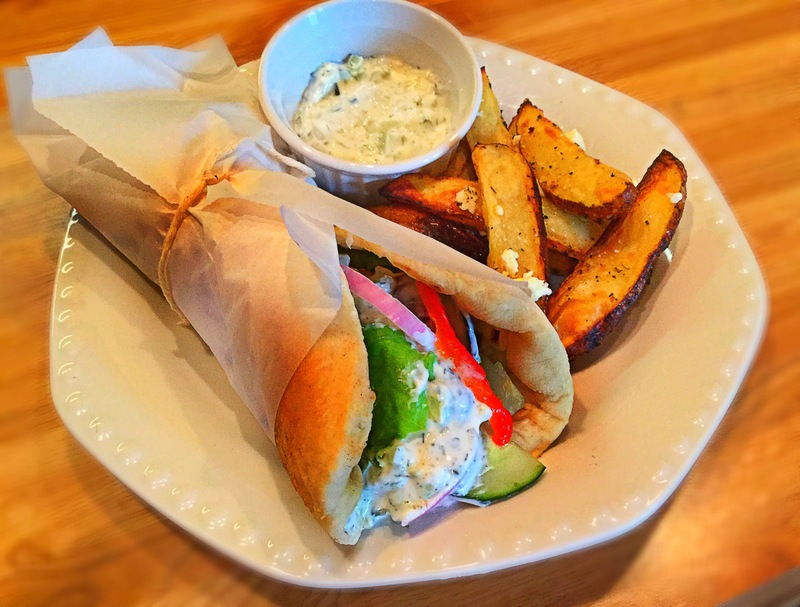 Place a few cooked chicken strips onto a warmed flatbread/pita pocket, next add on your desired toppings and serve with a drizzle of tzaziki sauce and a yummy side! Enjoy! 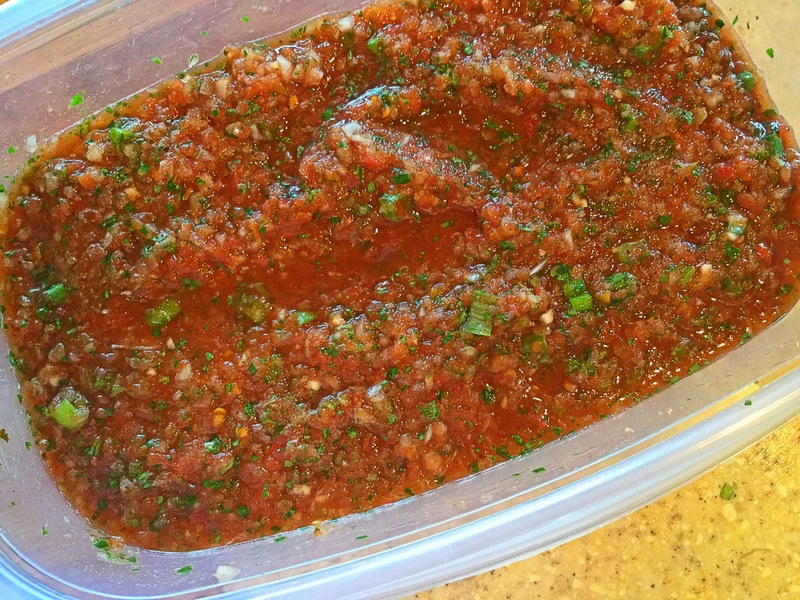 This sauce has an unbelievably bright and fresh taste to it! 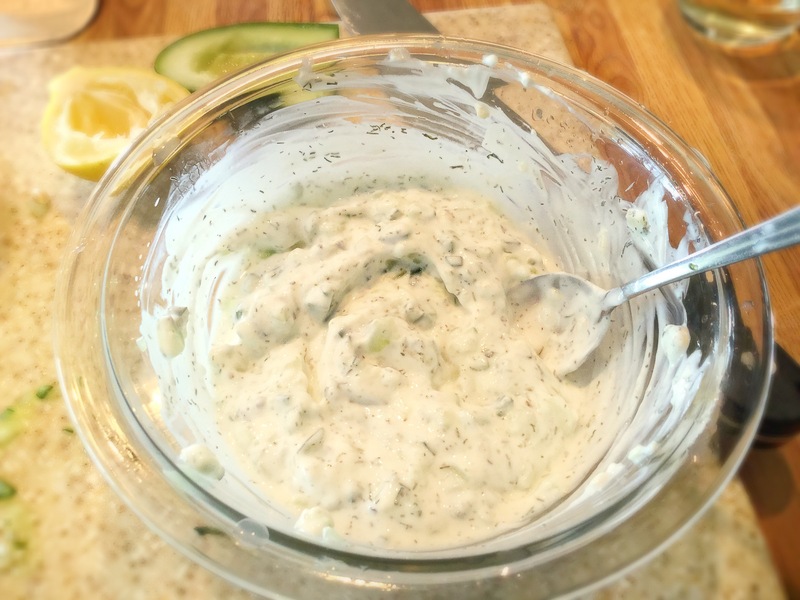 That mix of Greek yogurt, fresh lemon juice and cucumber will wake any flavors up! 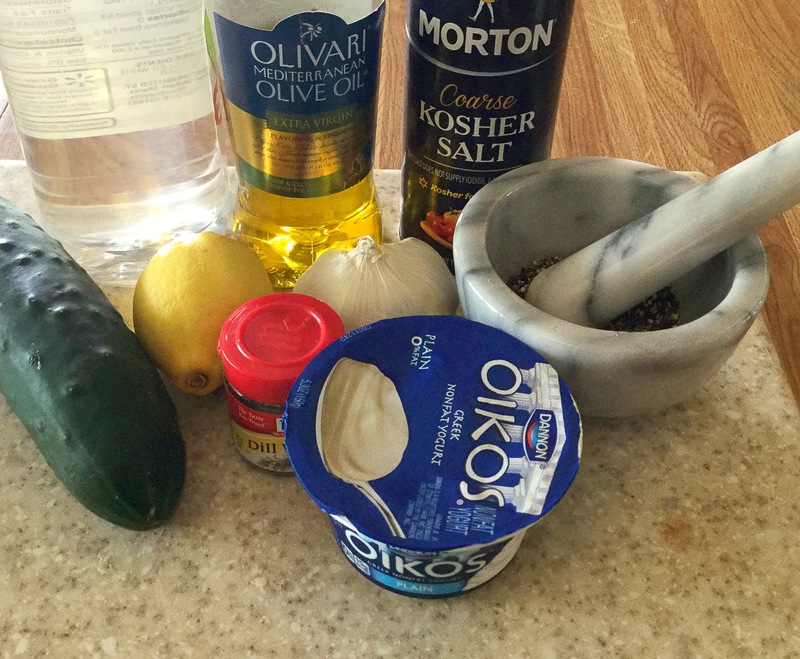 I like to serve this sauce alongside gyros and as a dip to my Greek fries..simple and delicious! 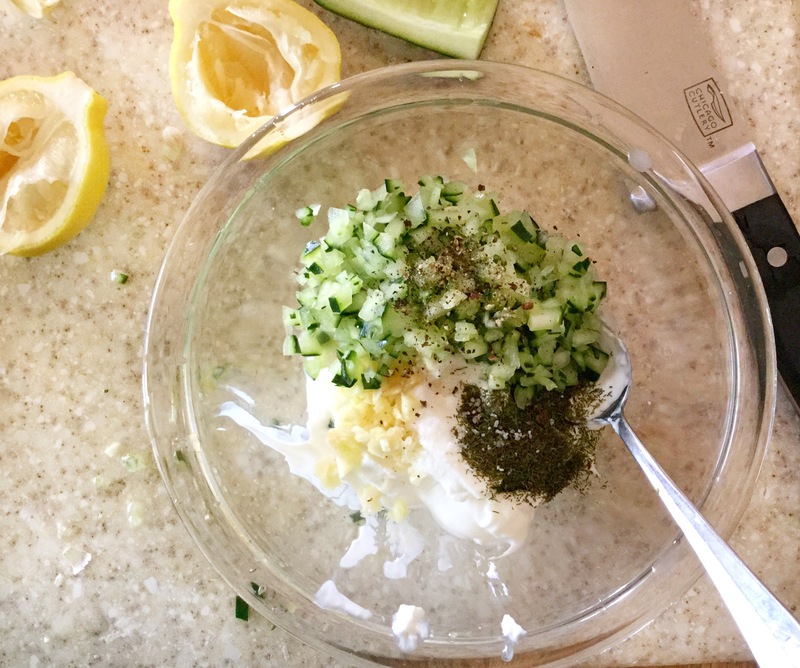 Start this easy Greek staple by rinsing and then cutting your cucumber in half lengthwise *You’re welcome to peel the skin, but I like a bit of bright green and texture to it. Next, remove all the seeds with a spoon by simple scraping them out. 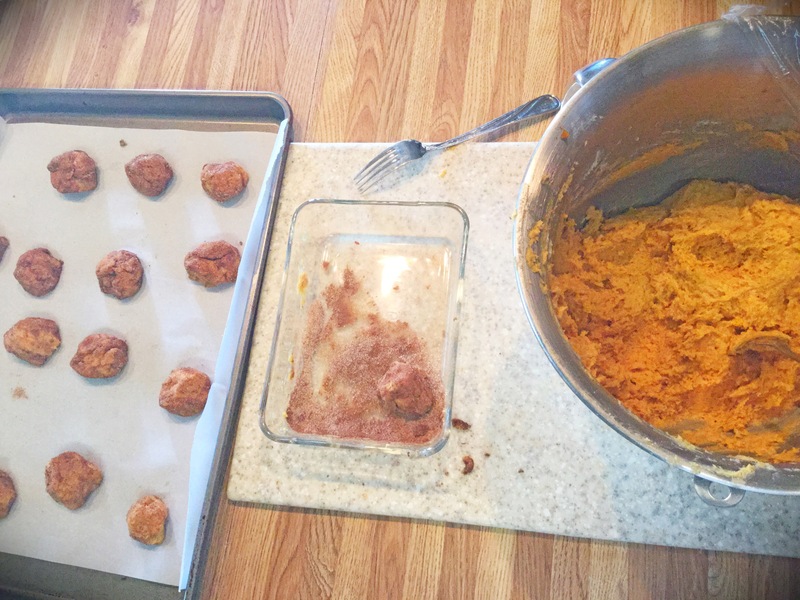 This part is easy … like the entire recipe actually. 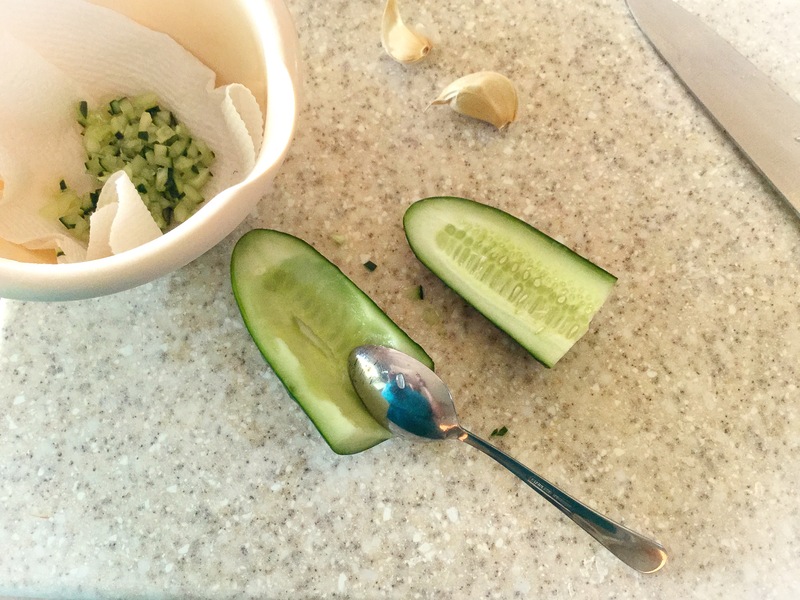 Finally, finely dice the cucumber (teeny tiny pieces) and place onto a paper towel *This will help absorb the extra water from the vegetable. I even (literally) squeeze out as much moisture as I can so that the sauce isn’t too thin. Now, mince the garlic and get the dill and lemon ready. In a small bowl, combine all of the above ingredients and give it a good stir. Cover the bowl with Saran Wrap and let chill in your refridgerator so that the flavors meld together (about an hour). Meanwhile you can start dinner… Enjoy! In my home right now, Fall IS in the air! 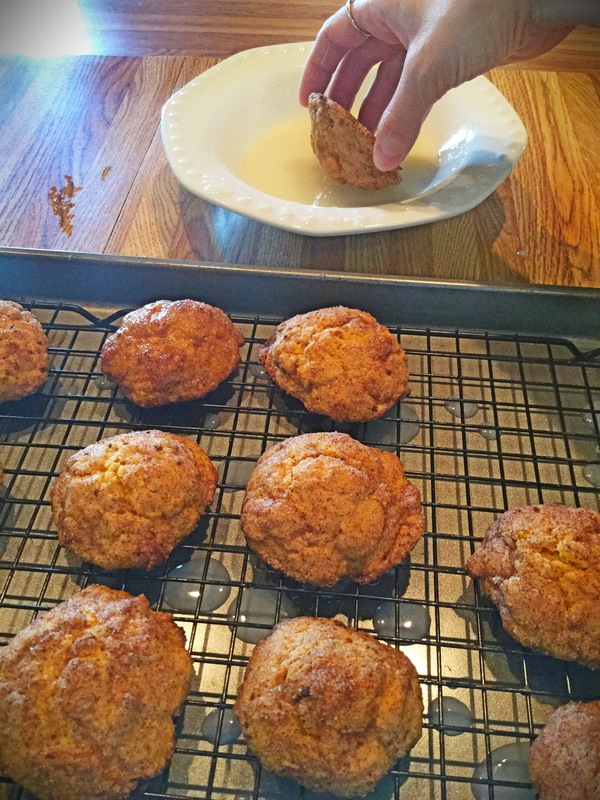 The pumpkin pie spiced aroma is almost too much to take as my boys and I are baking, so we decide to play outside as the cookies cool. …Going outside to play, that again told me it was Fall and no longer the hot summer months. 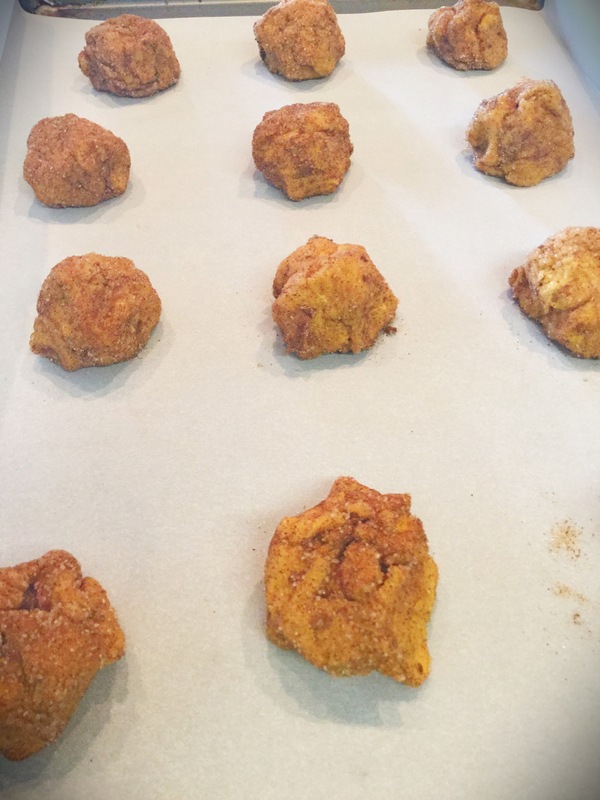 Preheat the oven to 400 degrees and have to baking sheets prepped with parchment paper. 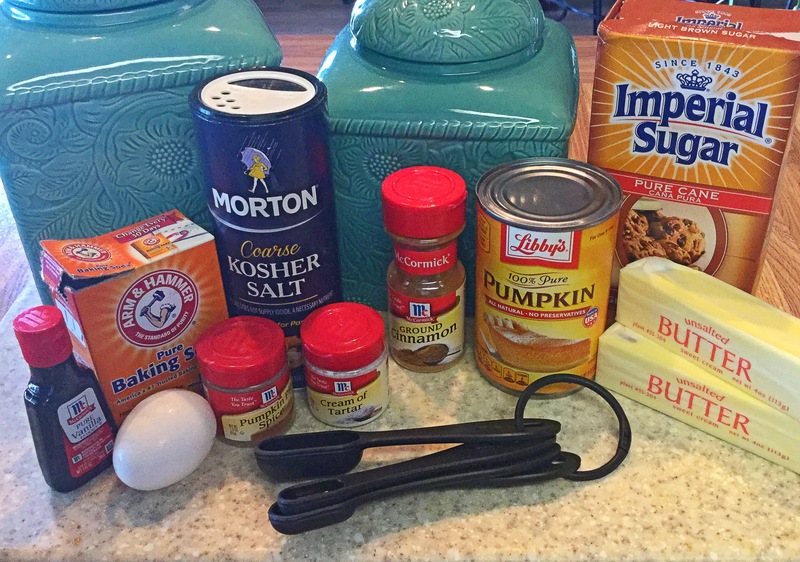 In a large bowl, whisk together the flour, cream of tartar, baking soda, salt and pumpkin pie spice. 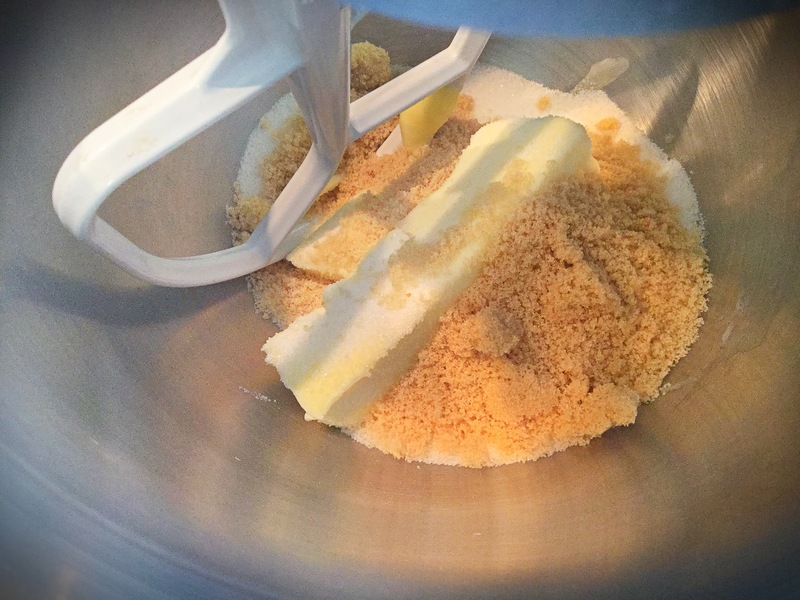 In a seperate bowl with a hand mixer or a stand mixer and paddle attachment, cream together the softened 2 sticks of butter and the white and light brown sugar till fluffy (2-3 minutes) on medium speed. 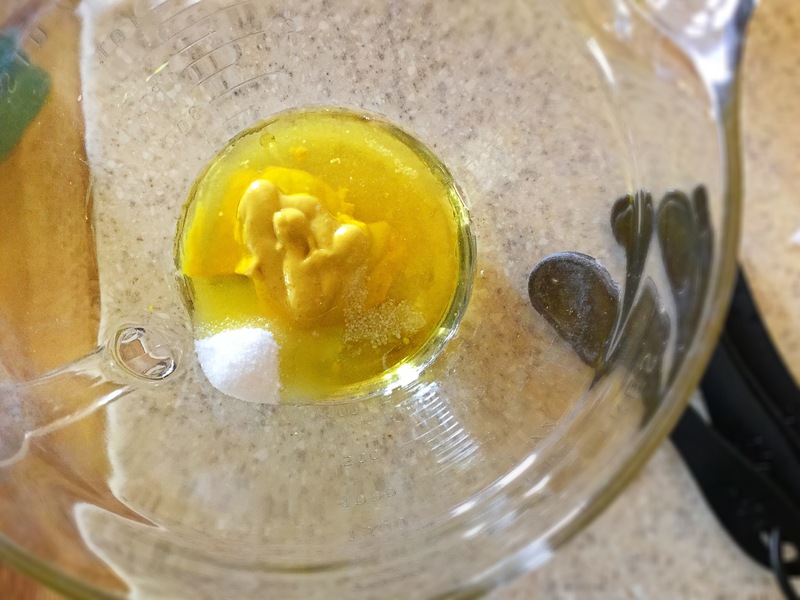 Add in the egg and vanilla extract and beat for 1 minute. 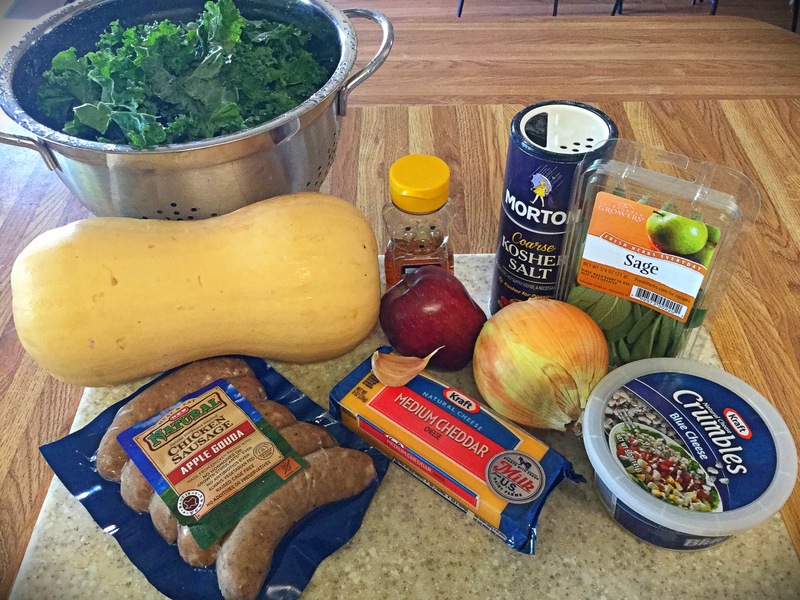 Finally add in your pumpkin purée and beat together till just combined. 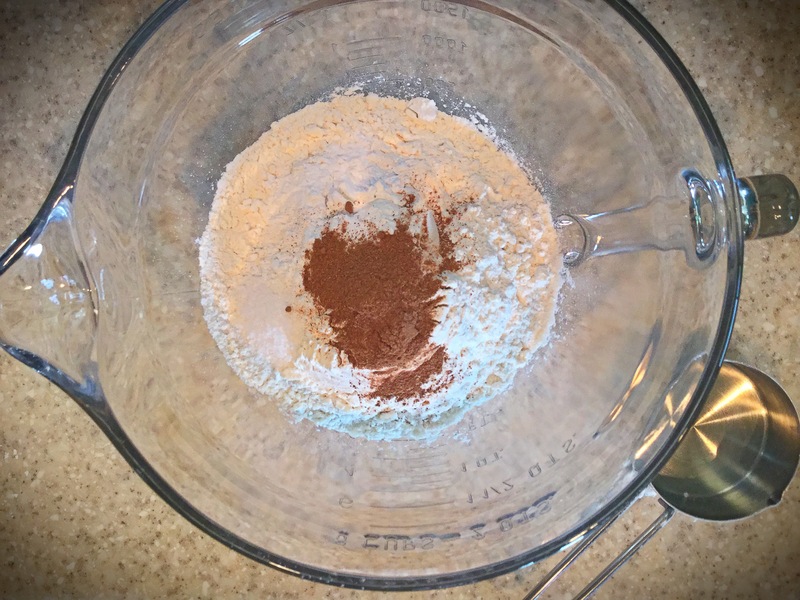 Now you’ll slowly add in the dry ingredients (flour mix), scraping the bowl as needed, and beat again until just combined. Do not overmix! Saran Wrap the top of this dough and refrigerate for 20-30 minutes (meanwhile clean the mess 😉 and get the ‘crust’ together. 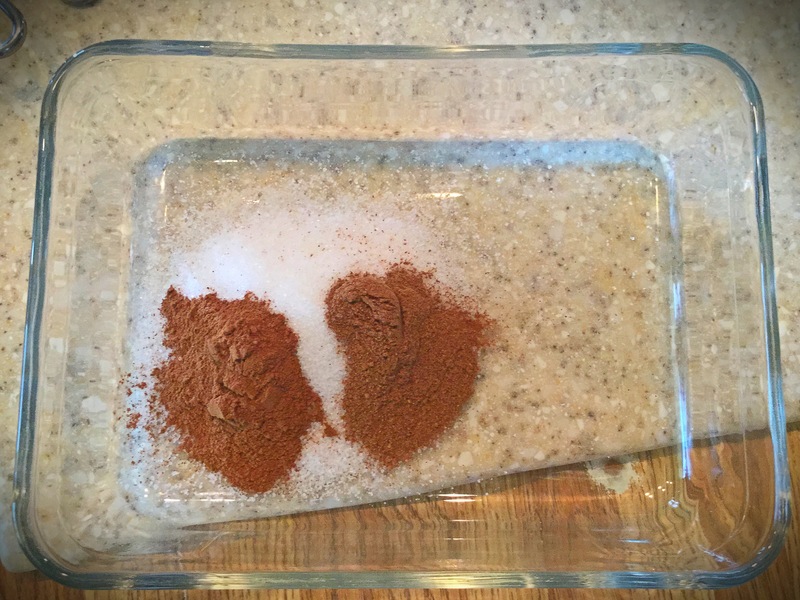 In a shallow dish combine the 1/4 cup sugar and 1tsp each of the pumpkin pie spice and cinnamon. (Remove dough from refridgerator). 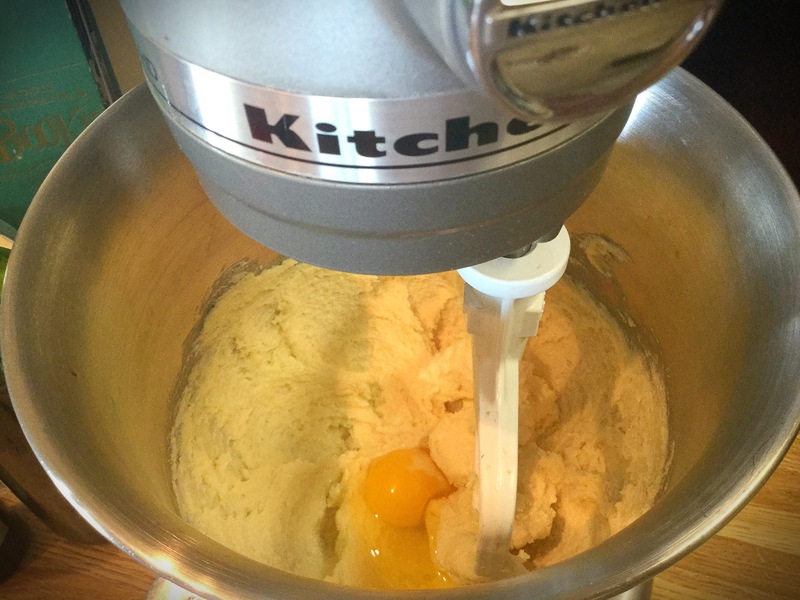 With a small spoon or better yet, a small small ice cream scoop, scoop out a ball of dough and roll in the ‘crust’. Make sure to fully coat..you may need to make more sugar mix. 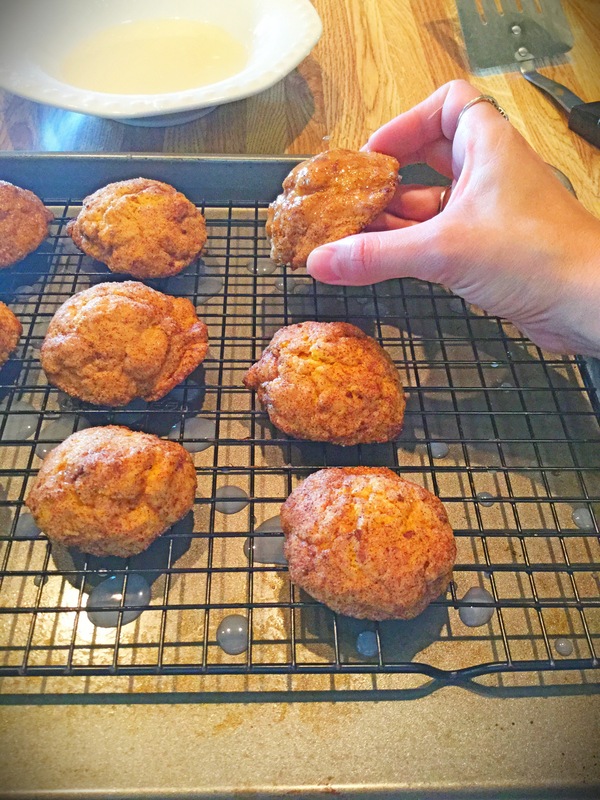 Place each dough ball onto the parchment lined baking sheets about 2″ apart. *I typically fit about a dozen per sheet. 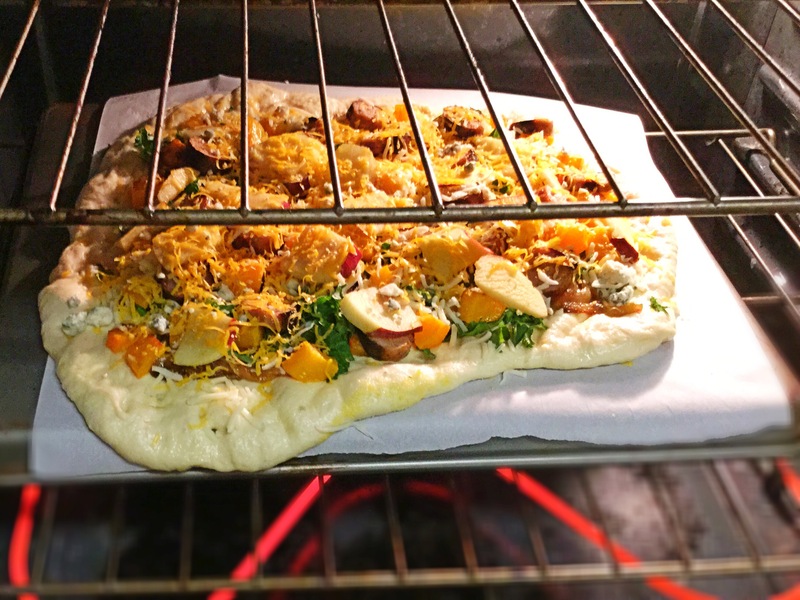 Place the baking sheet into the preheated oven for 10 minutes, rotating the baking sheet halfway through (at 5 minutes). Cool for 5-7 minutes and then transfer to a wire rack to cool completely. Complete with the remaining dough and baking sheets till all are cooked and cooled. Meanwhile, prepare the Simple Glaze for your finished cookies. 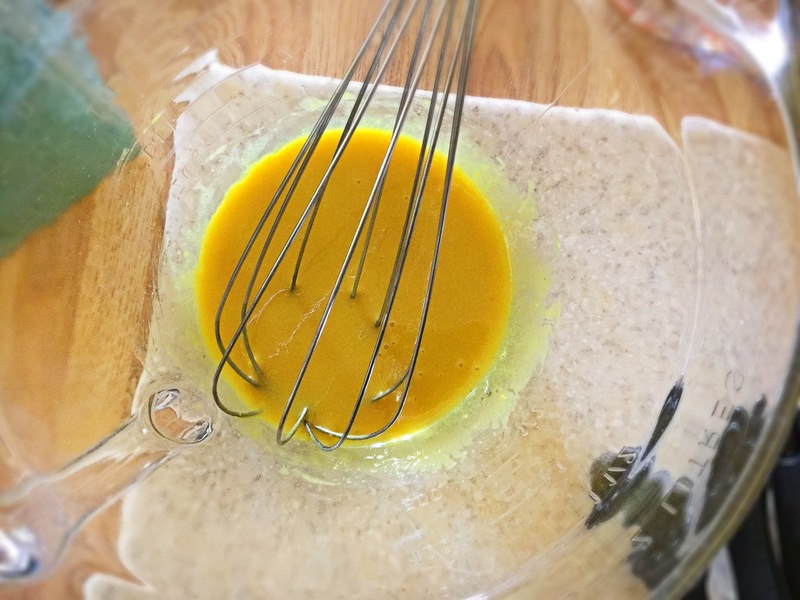 In a small bowl combine the glaze ingredients and whisk till smooth. Now with the cooled cookies still on the wire rack over the baking sheet, you can either drizzle the glaze or dunk the cookie tops and replace on rack to soak in and harden. 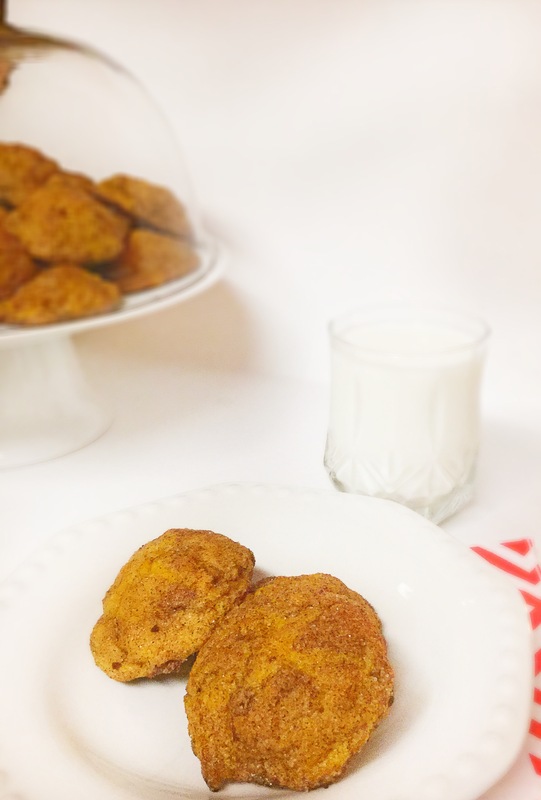 Set these beauties on a pretty platter or immediately serve alongside a cold glass of milk! Also…get ready to make another couple dozen, as they go quick! !